Pioneers in the industry, we offer internal gear pump, ss gear pump, gear pump and external gear pumps from India. 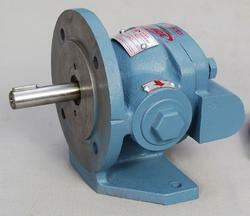 We are leading suppliers of Internal Gear Pump. The sig pumps are based on the proven rotary trochoidal design – gerotor principal. The reliable performance of the sig series makes them an ideal choice for various industrial applications. Specially coated internals for pumping of non –lubricating liquids. Continuous, pulsation free flow due to axial entry in pumping element. Ease of assembling and dismantling without disturbing the pipeline. Choice of oil seal / mechanical seal / gland pack. Parts / pumps interchangeable with well known brands . We provide a range of high quality gear pumps, which are widely used for hydraulic fluid power applications in various industries. Our range of gear pumps are suitable for handling viscous or semi viscous liquids. These gear pumps are fabricated using premium quality material which is procured from the reliable vendors of the market. Perfectly designed, these compact gear pumps are high in performance and deliver output with maximum accuracy. Very high suction lifts & low noise level. Single piece shaft supported by self lubricating bearings on both end for long life of pump. High volumetric & overall efficiency. Lubricating oils, fuels and all liquids which has lubrication properties. Emptying barrels and tanks of oils. Pressure lubrication and cooling of bearings, oil circulation through cooler, gear lubrications etc. To increase fuel oil pressure for oil burner service and fuel injection pressure. 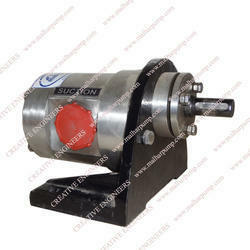 We are the suppliers of External Gear Pumps.